Some years ago, a good friend of mine randomly sashayed around our kitchen, swinging and juggling two large, and very sharp knives in front of our faces, as though he were performing a circus act. Despite numerous desperate requests for him to stop, he continued to swing the knives and throw them around the kitchen, until I gave him a kick. Whilst I’m not proud of kicking my friend, it was the only way to make him to stop. He genuinely believed he was doing nothing wrong, but his actions could have so easily lead to disaster, if the swinging knives had hit one of us in the face, or slashed someone’s neck. Not long after the incident, a few other reckless events lead to my friend being formally admitted for medical treatment, under Section 3 of the Mental Health Act, and he was subsequently diagnosed as bipolar. A number of people, at that time, believed that my friend’s actions were deliberate – but I know they were not. My friend believed that he would become famous, and he regularly joked about topics such as taking over the world, and death. Fortunately, my friend received the help he needed, and has now fully recovered. He has a successful career, and fortunately has the support of his friends – myself, in particular. But, during the time of his illness, his condition resulted in him being severely discriminated against, leading to losing most of his friends, his girlfriend, being expelled from a world leading college, and losing his sponsorship. His condition caused him to act and speak recklessly during his manic episodes, even though my friend genuinely never intended any person harm. One of the symptoms of a manic episode, is delusions of grandeur. The sufferer can often believe they are invincible, or more skilled than they actually are – and in some cases, believe they are able to take over the world. With that thought in mind, one should seriously question and scrutinise the headlines and accusations regarding Andreas Lubitz deliberately murdering 149 people on his passenger plane. The discovery of a discarded sick note in his Dusseldorf apartment has been documented by the press, along with the confirmation that he attended a medical clinic days before the crash. 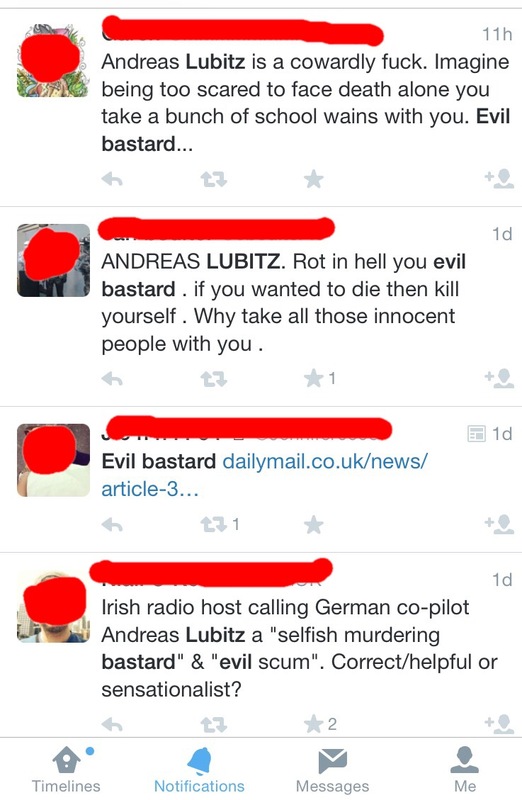 Most recently, the German newspaper, Bild, has reported that Lubitz’s ex-girlfriend claimed he had once said: “One day I will do something that will change the whole system, and then all will know my name and remember it.” – Words which sounded remarkably similar to those of my friend, who of course, intended nothing malicious. If anything, it was merely a case of macho “chest-beating” bravado to impress the ladies, and could have also been the same intention with Lubitz. Unsurprisingly, the account of Lubitz’s girlfriend in Bild (which despite being quoted by all the more “reliable” media outlets, is Germany’s equivalent of ‘The Sun’ newspaper – just to be clear! ), is being misconstrued and spun by the media. I argue that we will never really know, nor understand, the real reason. Thus, we should be sceptical of the accounts given by the media. Most importantly, the question that the media have failed to ask, and which urgently needs to be addressed, is if Lubitz was suffering from a serious mental illness, why was he put into a situation where he felt unable to seek help? What the media have also failed to clarify, is that suffering with depression, or any other psychiatric illness, does not mean that a person is any more inclined to harm others. If anything, a person with depression tending towards suicide, will want to find somewhere quiet to end his own life, well away from other people. 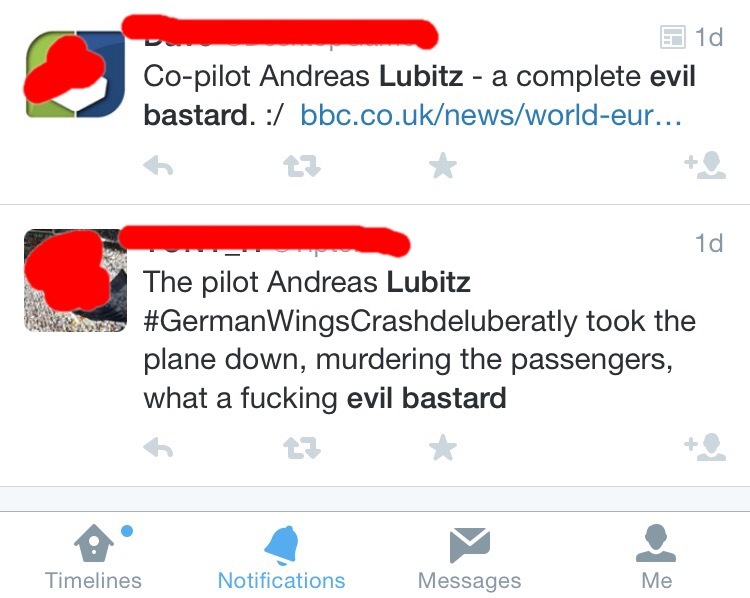 Instead of acknowleging that, the media seem intent on feeding off Lubitz’s mental illness to sell their stories. 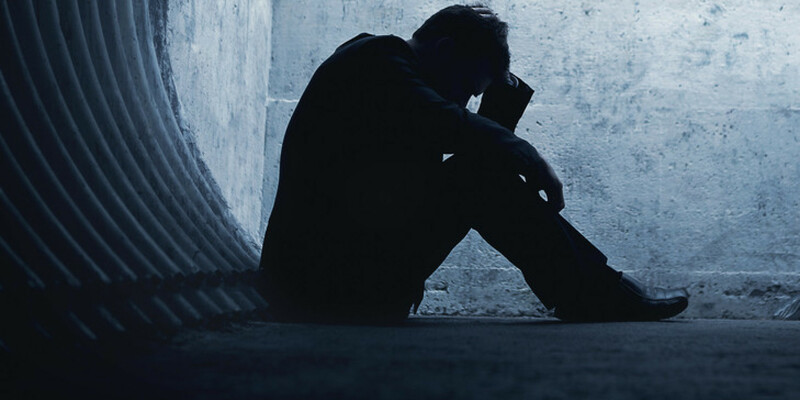 In reality, a recent study published by the American Psychological Association, revealed only 7.5 percent of crimes were directly related to mental illness. Furthermore, Appleby, L., et al (2001) state in their Lancet published study, “people with psychiatric disabilities are far more likely to be victims than perpetrators of violent crime.” Hiday, V. A., et al (1999) also found that people with severe mental illnesses, schizophrenia, bipolar disorder or psychosis, are also two-and-a-half times more likely to be attacked, raped or mugged than the general population. “The vast majority of news stories on mental illness either focus on other negative characteristics related to people with the disorder (e.g., unpredictability and unsociability) or on medical treatments. Notably absent are positive stories that highlight recovery of many persons with even the most serious of mental illnesses”. In the midst of such public hysteria, it is crucial we remember that provided a mental health disorder is diagnosed and properly treated, the risk of a person harming others becomes even lower. Data obtained following a recent Freedom of Information request, revealed that more than 40,000 NHS staff took sick leave as a result of stress, anxiety, and depression in 2014. Are depressed doctors murdering their patients? – No. 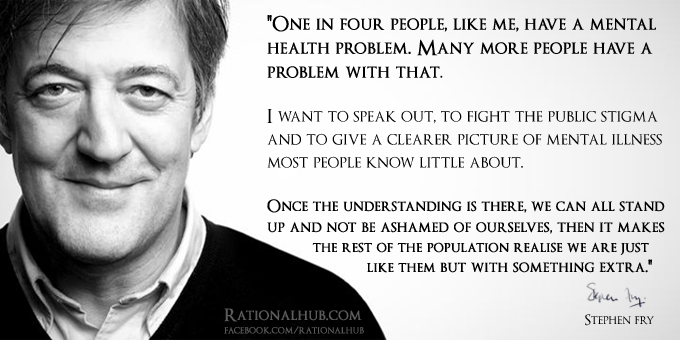 The World Health Organisation state that 1 in 4 people – or 450-million people, are affected, which places mental disorders amongst the leading causes of ill-health and disability worldwide – and yet, despite these figures, there is is still a huge stigma attached to mental illness, and sufferers face an inordinate amount of stigmatisation by society, sometimes from their own doctors. Two-thirds of people remain undiagnosed, and may appear perfectly “normal” from the outside. 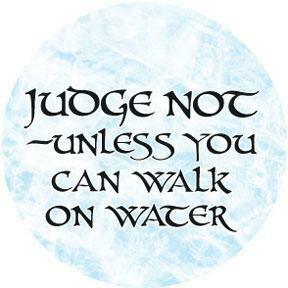 Consider that it is perhaps the undiagnosed who are far more likely to behave recklessly, or harm others, than a person who has been properly diagnosed and is being treated for their condition. Yet, because of such stigmatisation, many are afraid to seek help, and the recent tabloid demonisation of Lubitz and his health issues, certainly isn’t helping those who are already facing discrimination. If more people were encouraged to seek help, without fear of stigma or judgement from society, employers, and the likes of the Daily Mail and its readers – who all appear to relish the demonisation of the mentally ill and the most vulnerable people in society, then perhaps more lives could be saved, and fewer families will suffer such tragic losses. 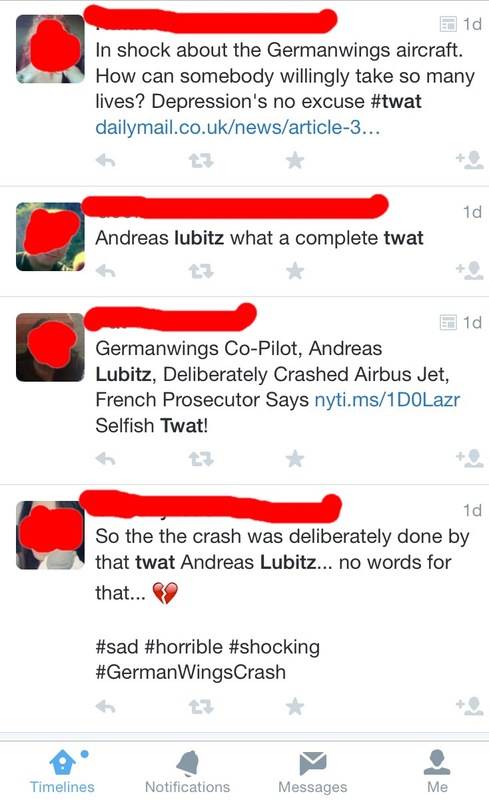 Moreover, *if* Andreas Lubitz did deliberately crash the plane, it is worth bearing in mind that had more people learned to care about each other and men like Lubitz, maybe Lubitz would have also ensured more care and consideration towards others at the end, too. Perhaps I see the situation differently as a result of witnessing my friend suffering and being vilified for being bipolar, but I can only see the crash of flight 4U9525 as a tragedy, and not a murder. It is a tragedy that Andreas Lubitz was unable to receive the help he needed, and it is a tragedy that society can only see it fit to demonise, discriminate against, and ostracise those in need in help, to the point that sufferers attempt to hide their illness and refuse help. Instead of demonising the mentally ill, a more positive approach would be to understand the potential benefits of mental illness that nobody talks about, and how it appears to be beneficial to creative thinking. Indeed, a high percentage of mentally ill people can be found in the Arts professions, and those people certainly make our everyday lives more enjoyable. Would Beethoven, Mozart, or Schumann have been such skilled composers had they not suffered from mental illnesses? Would the actors and comedians who make us cry with laughter, be able to do so if they did not suffer with bipolar disorders and depression? Hmm … Should us “normal” people be worried? Very well put. This is a tragedy, and your point about is people learning to care about each other is spot on. I hope that compassion ultimately trumps fear/anger in how people respond to this.